Christmas Party Menu 2018 Prawn Cocktail Dingle Bay Prawns in a Rich Maire Rose Sauce served with Crisp Lettuce “De Róiste” Pudding Potato Cake with a Tangy Tomato Sauce Smoked Salmon Salad dressed with Avocado & Pink Grapefruit Homemade Winter Vegetable Soup Grilled 6oz Sirloin Steak with sautéed mushrooms & onions with a choice of. 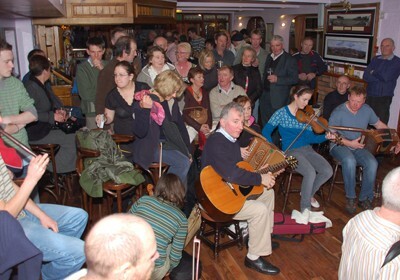 It's summer & Saturday evening is the time to be at The Abbey for our regular Saturday Night Trad Session. This weekend won't disappoint with another great line up ready to raise the.